Do not mistake this for an entry level Teroldego! 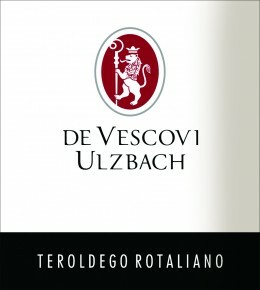 De Vescovi’s Teroldego Rotaliano ‘Classico’ is a perfect interpretation of this variety, sourced from 50-to-70 year old traditional pergola Trentina from top vineyard sites. Teroldego was traditionally trained on pergolas to keep it natural vigor in check, giving more elegance, and 10 months ageing makes it caressingly drinkable and soft-styled. Dark ruby red in color with hints of violet. Aromas of dark berry fruit (blueberry) on the nose with floral and mineral hints which continue onto the palate. Well balanced with a pleasing taste of almond on the finish. Teroldego will pairs well with red meats, roasts, game, mushroom-based dishes and aged cheeses. Manual harvest takes place towards the end of September. Part natural fermentation (without additional yeasts) and part ‘induced’ fermentation (with added yeasts) is carried out in conical 40-hl vats at a temperature below 82F. Maceration lasts approx 7 days with pumping over and delestages. Malolactic fermentation occurs naturally in oak vats. Aged for 10 months in 40 hl French oak vats, followed by 6 months of bottle age prior to release.